The Iditarod is the most famous of the dogsledding races, but the smaller ones often allow a more personal experience. 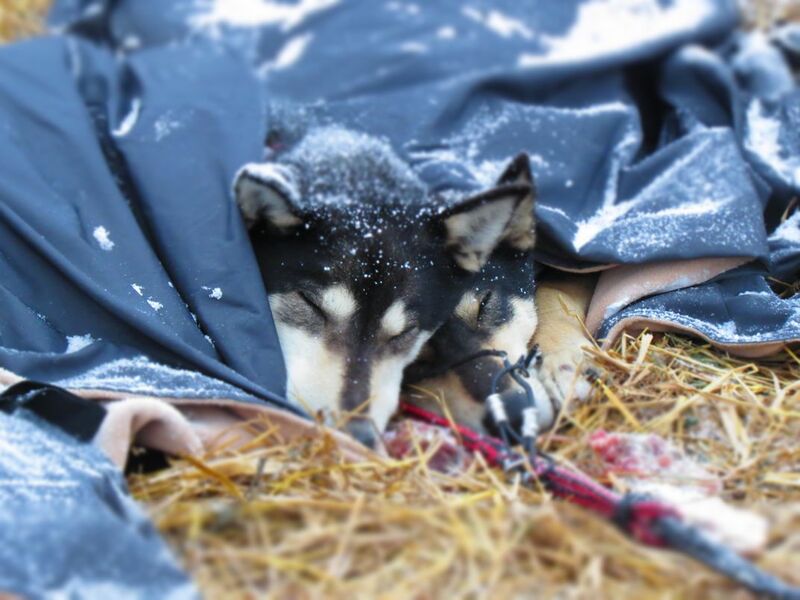 This photo shows Agnes and Margo, 2 race dogs enjoying a rest in the hay at one of the checkpoints. Date Uploaded: Oct. 30, 2017, 11:52 a.m.